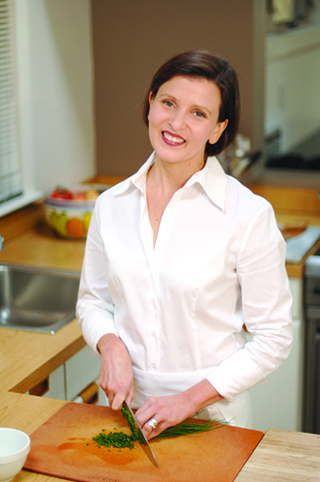 Viviane Bauquet Farre is a champion of gourmet-yet-simple home cooking. A native of a French island in the South Pacific and a former fashion designer, Viviane creates exuberant recipes that are rooted in Southern French and Italian cuisines. The food she creates is both fresh and modern, and grounded in a deep love for seasonal ingredients. Viviane’s e-magazine, foodandstyle.com, launched in 2009, has won plaudits from home chefs the world over, and been heralded both in print and across the Web, in forums as diverse as BonAppetit.com, Vegetarian Times, and Saveur.com (which also crowned her site one of the “Best of the Web”). With several dozen episodes already wrapped, Viviane’s rich YouTube channel is growing rapidly both in size and visibility. She is also a regular contributor to the Taste section of The Huffington Post, among other sites. Viviane’s love of ingredients, and the richness of her food offering, extends to wine as well. The recipient of an Advanced Certificate in Wine and Spirits, from the Wine & Spirit Education Trust, she offers suggested pairings for many of her recipes — with a focus on producers who make wines that are pure and express a sense of place. Viviane’s philosophy can be summarized in two simple sentences: Flavor First! And… Food Is Love. Copyright © 2014 Food & Style NY LLC. All rights reserved.